Queensland (abbreviated as Qld) is the second-largest and third-most-populous state in Australia. 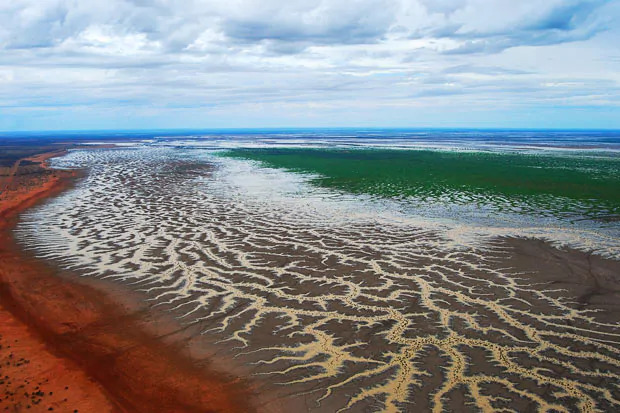 Situated in the north-east of the country, it is bordered by the Northern Territory, South Australia and New South Wales to the west, south-west and south respectively. To the east, Queensland is bordered by the Coral Sea and Pacific Ocean. Queensland has a population of 4,560,059, concentrated along the coast and particularly in the states South East. The state is the worlds sixth largest sub-national entity, with an area of 1,852,642 km2. The capital and largest city in the state is Brisbane, Australias third largest city. Referred to as the "Sunshine State", Queensland is home to 10 of Australias 30 largest cities and is the nations third largest economy. Queensland was first occupied by Aboriginal Australians and Torres Strait Islanders. The first European to land in Queensland (and Australia) was Dutch navigator Willem Janszoon in 1606, who explored the west coast of the Cape York Peninsula near present-day Weipa. In 1770, Lieutenant James Cook claimed the east coast of Australia for the Kingdom of Great Britain. The colony of New South Wales was founded in 1788 by Governor Arthur Phillip at Sydney; New South Wales at that time included all of what is now Queensland, Victoria and Tasmania. Queensland was explored in subsequent decades until the establishment of a penal colony at Brisbane in 1824 by John Oxley. Penal transportation ceased in 1839 and free settlement was allowed from 1842. The state was named in honour of Queen Victoria, who on 6 June 1859 signed Letters Patent separating the colony from New South Wales. The date 6 June is now celebrated state-wide as Queensland Day. Queen Victoria, who went on to become Britains longest reigning monarch, chose an eponymous name for the colony over Cooksland, which had been suggested by the influential local Presbyterian minister John Dunmore Lang in honour of navigator James Cook. 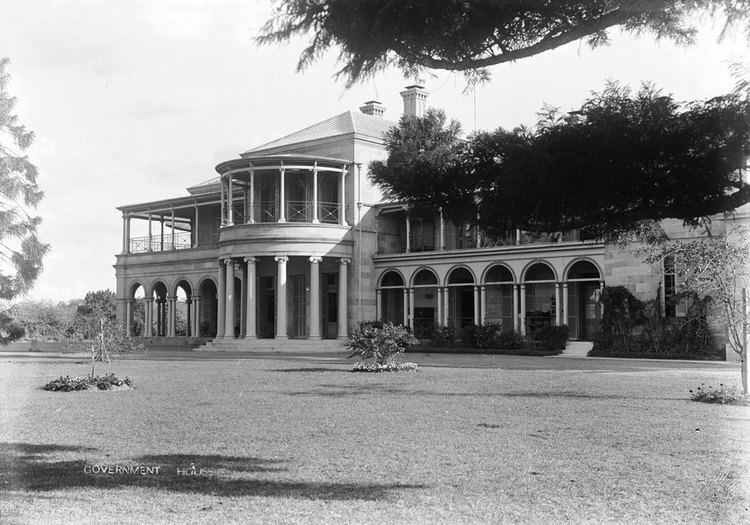 Queensland achieved statehood with the Federation of Australia on 1 January 1901. The history of Queensland spans thousands of years, encompassing both a lengthy indigenous presence, as well as the eventful times of post-European settlement. The north-eastern Australian region was explored by Dutch, Portuguese and French navigators before being encountered by Lieutenant James Cook in 1770. The state has witnessed frontier warfare between European settlers and Indigenous inhabitants (which did not result in any settlement or treaty), as well as the exploitation of cheap Kanaka labour sourced from the South Pacific through a form of forced recruitment known at the time as "blackbirding". The Australian Labor Party has its origin as a formal organisation in Queensland and the town of Barcaldine is the symbolic birthplace of the party. 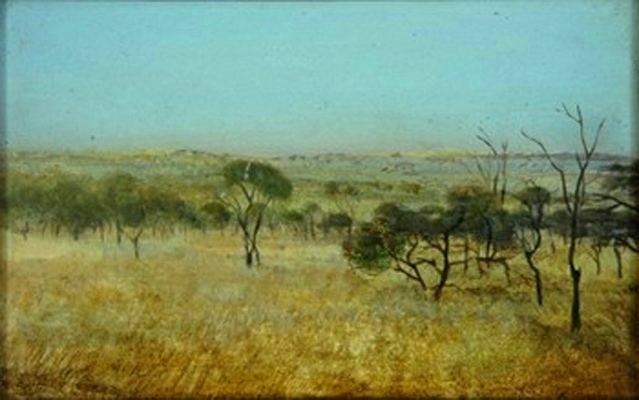 June 2009 marked the 150th anniversary of its creation as a separate colony from New South Wales. A rare record of early settler life in north Queensland can be seen in a set of ten photographic glass plates taken in the 1860s by Richard Daintree, in the collection of the National Museum of Australia. Queensland borders the Torres Strait to the north, with Boigu Island off the coast of New Guinea representing the absolute northern extreme of its territory. The triangular Cape York Peninsula, which points toward New Guinea, is the northernmost part of the states mainland. West of the peninsulas tip, northern Queensland is bordered by the Gulf of Carpentaria, while the Coral Sea, an arm of the Pacific Ocean, borders Queensland to the east. To the west, Queensland is bordered by the Northern Territory, at the 138°E longitude, and to the southwest by the northeastern corner of South Australia. In the south, there are three sections that comprise its border: the watershed from Point Danger to the Dumaresq River; the river section involving the Dumaresq, the Macintyre and the Barwon; and 29°S latitude (including some minor historical encroachments below the 29th parallel) over to the South Australian border. The state capital is Brisbane, located on the coast 100 kilometres (60 mi) by road north of the New South Wales border. The state is divided into several officially recognised regions. Other smaller geographical regions of note include the Atherton Tablelands, the Granite Belt, and the Channel Country in the far southwest. Queensland has many places of natural beauty, including the Sunshine Coast and the Gold Coast, home to some of the states most popular beaches; the Bunya Mountains and the Great Dividing Range, with numerous lookouts, waterfalls and picnic areas; Carnarvon Gorge; Whitsunday Islands; and Hinchinbrook Island. The state contains six World Heritage-listed preservation areas: Australian Fossil Mammal Sites at Riversleigh in the Gulf Country, Gondwana Rainforests of Australia, Fraser Island, Great Barrier Reef, Lamington National Park and the Wet Tropics of Queensland. In the 1880s and 1890s, sea ports were established on the coast, adjacent to the mouth of the Fitzroy River. Broadmount was on the northern side and Port Alma on the south. Railways were subsequently constructed to carry goods to the wharves at these locations, the railway to Broadmount opening on 1 January 1898 and the line to Port Alma opened on 16 October 1911. Maintenance on the Broadmount line ceased in August 1929. The following month, the wharf caught fire and the line was effectively closed in July 1930. The line to Port Alma closed on 15 October 1986. Queenslands economy has enjoyed a boom in the tourism and mining industries over the past 20 years. A sizeable influx of interstate and overseas migrants, large amounts of federal government investment, increased mining of vast mineral deposits and an expanding aerospace sector have contributed to the states economic growth. The 2008–09 saw the expansion slow to just 0.8%, the states worst performance in 18 years.